Apple launched iPhone 6s & iPhone 6sPlus, with new touched technology called 3D touch, it means that screen detect multiple level of pressure. We saw this feature in Apple Watch earlier with the name of “Force Touch”. In the layman terms if we have to explain 3D Touch then we can say that it is the technology which enables you to get the different options from the same window or icons with different level of touch. 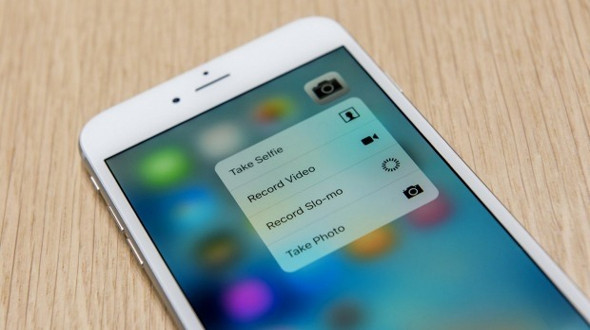 Today in this article we will talk about the technology behind 3D Touch and how it works. In the language of Apple’s Chief Design officer, 3D Touch is the “next generation” of Multi-Touch and it adds force recognition to already familiar gestures. 3D Touch also enables users to have two new gestures, ‘Peek’ and ‘pop’. As we mentioned earlier it is the new name or refined name of “force touch” taken from Apple Watch. Apple has used this feature to make the home screen of iPhone 6s & 6s plus more user friendly. 3D touch gives access to the function of particular app they use and access most. For example if users press the dialer app hard he gets the list of whom he called recently. 3D touch works on all the native apps of apple and some of the third party apps also.